Robert Mapplethorpe’s practice as an artist was characterized by inherent dualities. He sought what he called “perfection in form” in everything—from acts of sexual fetishism to the elegant contours of flower petals. This exhibition explores Mapplethorpe’s body of work through early drawings, collages, sculptures, and Polaroid photography; materials from his archive; portraits, still lifes, and figure studies; rare color photographs; and two seldom-seen video works. A companion exhibition will be presented simultaneously at the J. Paul Getty Museum. The exhibition at LACMA highlights the artist’s relationship to New York’s sexual and artistic undergrounds, as well as his experimentation with a variety of media. 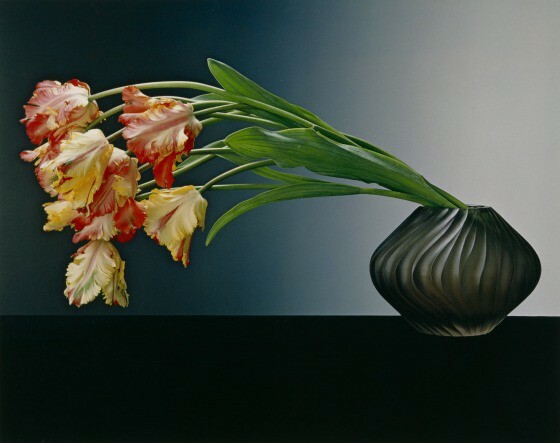 Additionally, a focused installation of work by other artists drawn from LACMA’s permanent collection helps place Mapplethorpe in conversation with the art of the 1980s. The companion exhibition at the Getty explores Mapplethorpe’s disciplined studio practice and his fascination with classical form and the fine photographic print.